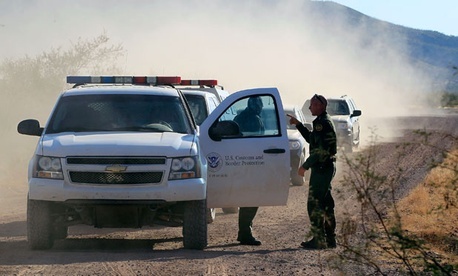 A recent decision by a labor arbitrator could restore thousands of dollars of back pay to 350 current and former Customs and Border Protection agents, according to Federal Times. In a decision released last week, arbitrator Louise Berman Wolitz said the Homeland Security Department “crushed employee morale” by not paying its agents equitably. The agents who filed the grievance had been part of the Justice Department’s Immigration and Naturalization Service, which was split up and merged into DHS when the department was created in 2002. Agents said those who joined CBP under the Foreign Language Award Program were receiving higher pay than former INS agents for similar foreign language skills, according to Federal Times. The employees told the arbitrator that they “stopped or delayed preforming duties” because of the pay inequity, according to the report. Ben Wick, an attorney for the American Federation of Government Employees, the union representing the employees, told the Federal Times he “praised the decision.” He said it meant the agents could receive $3,000 to $5,000 in back pay and interest for the disputed years.